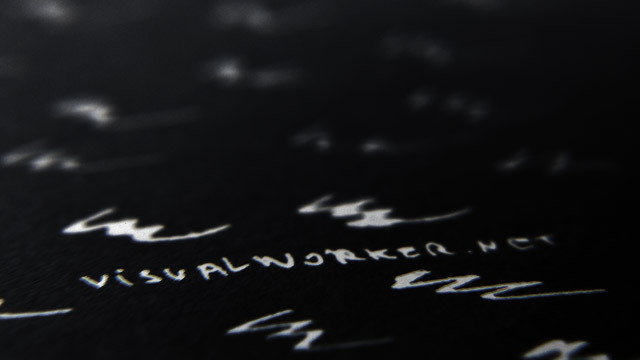 You're about 800 following visualworker's twitter account, where we try find interesting news about graphic design, and designer jobs opportunities. So, in addition of our twitter @visualworker feed, of website www.visualworker.net, our facebook page http://www.facebook.com/pages/Visual-Worker/141872945869553 where you're about 2000 fans, and our art director's personal blog http://rodrigo.bleublog.lematin.ch (in french) we've decided to create a new blog http://visual-worker.blogspot.com/, where we'll try to feed with interesting and original articles about Art & Design. We'll try to link "real" visuals (print ads, exhibitions, street art...) to "virtual" visuals. Talk about design job's opportunities and training. About our productions and any interesting visual work. Hope you'll like it! Stay connected!